Mass Effect is full of rich and fascinating events, and we’re going to take a close look at them. Our sources are the official Mass Effect timeline and the timeline given in the games and found in the Mass Effect Wiki. The official Mass Effect timeline starts at the year 2069, and can often be quite contradictory with the timeline given in the games. We’ll explore this in details soon. In 2148, humanity discovers a cache of hidden Prothean technology on Mars. The Protheans are an extinct race who mastered mass effect fields. As explained in our introduction, it allows faster than light travel and space exploration. By analyzing this technology, humanity discovers in 2149 that Charon (Pluto’s moon) is actually a mass relay. At the time, they still don’t know that there is a network of relays across the galaxy. They later discover it with a first expedition through Charon, led by Jon Grissom of the Systems Alliance. The Systems Alliance is born out of the need to unite humans in this space exploration. The Alliance’s charter is signed by the biggest nations on Earth and still represents humanity in the galaxy when Mass Effect 1 starts. In 2151, the Alliance starts the construction of a massive space station at Arcturus. It will become the Alliance headquarters. That same year, an accident at the Singapore International Spaceport exposes humans to element zero in dust form. 30% of the children born after that element zero exposure have cancerous growths. Some of those children, however, will become biotics. In 2152, humans start to colonize the first colonies outside of the local solar system. In 2154, our hero Shepard is born. The same year, there is a second accident exposing more humans to element zero. In 2156, a small number of the children exposed to element zero start to exhibit telekinetic abilities. In 2157, a new period starts with the First Contact War, when humanity finally makes contact with another race. The turians see humans trying to activate dormant mass relays, which is forbidden by galactic law, so they attack humanity. The war lasts three months. During that time, turians occupy Shanxi, a human colony. Humanity evicts them from the planet one month later. Both species began preparing a full scale war until the Citadel Council intervened to broker peace between the humans and the turians. Humans discover the full galactic community and its different species. In 2183, the events of Mass Effect 1 happen. At the time, humans have reconciled with turians, leading them to work on a new spaceship: the Normandy. Humanity is trying to get a place on the Citadel Council and want a human Spectre. Spectres are elite agents who only answer to the Citadel Council. 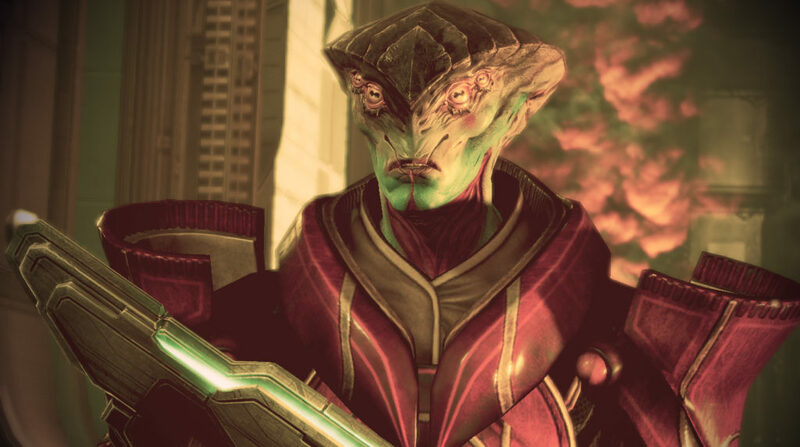 Shepard is the candidate chosen, and is sent on a mission with a turian Spectre called Nihlus Kryik. Nihlus is supposed to judge Shepard and see if they’re worth of the title… But nothing goes as planned. 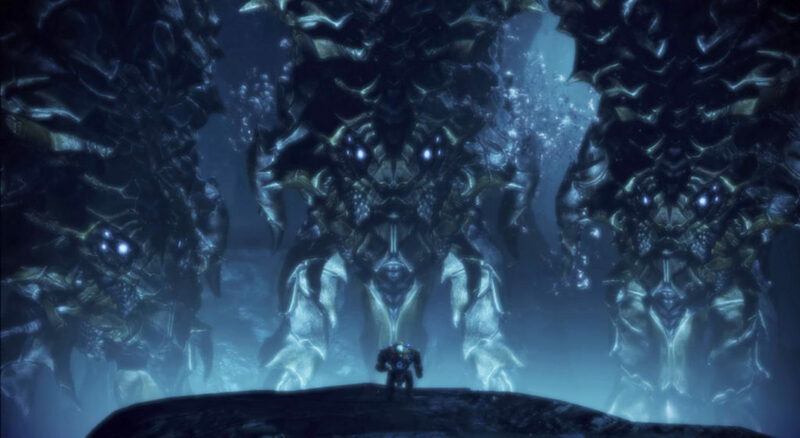 Eden Prime, a human colony, is attacked by a synthetic species called the geth and a rogue Spectre named Saren Arterius. Saren is working with a Reaper named Sovereign. The colony almost gets destroyed. Saren kills Nihlus…and Shepard receives visions from a Prothean beacon. Saren is exposed as a traitor and the Citadel Council decides to name Shepard the first human Spectre. Their mission: pursue and stop Saren. We learn that Saren is looking for the Conduit, which would allow all the Reapers to return to the galaxy and start a new cycle of harvesting where they destroy advanced organic species. Are you following so far? We hope so, because it’s time to pause and rewind. We’re talking a lot about humanity, Citadel Council, and Reapers. We see in our Galactic Community part of the guide how the galaxy is run and which species are a part of it. Let’s see how this came to be. How was the Council created and what difficulties did it face before the first Mass Effect game? The Citadel is the hub and capital of the current galactic government. 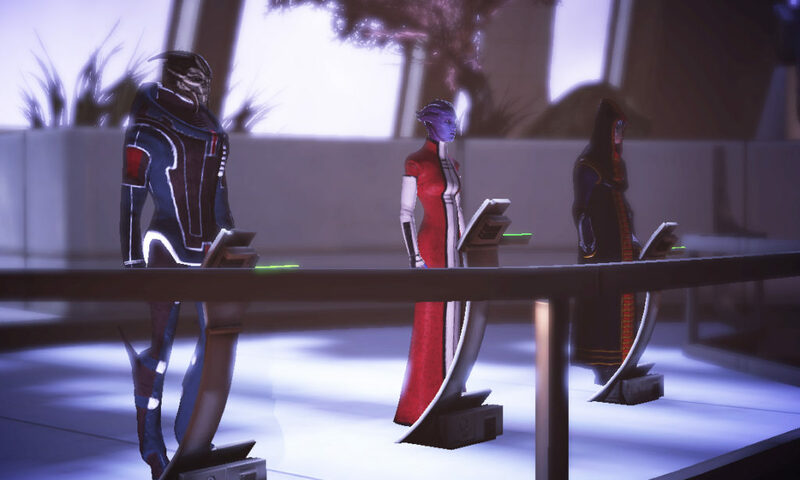 The Council, at the time of ME1, is made of three species: asari, turians and salarians. The asari were the first to find the Citadel. They did so in 580 BCE. Sixty years later, the salarians joined them. The Protheans are the reason the asari were able to explore the mass relay network and discover the Citadel. The Citadel Council is founded in 500 BCE with asari and salarians at the helm. That year is also the year 0 of Galactic Standard. The asari and salarians make contact with the volus. As the volus are great at dealing with economics, they are commissioned by the Council to draw up the Unified Banking Act. A common currency, named the credit, is established and is now found in all galactic economies. Despite the volus’s deep influence, they are not granted a seat but rather an embassy in the Citadel. When contact is made with the elcor, batarians, hanar and quarians, they are granted an embassy as well. The turians, who will later have a seat, are busy with their Unification War. The turian colonies war against the Turian Hierarchy, which in the end, manages to pacify them. From 1CE to 300CE, the Rachni Wars happen. The rachni are smart hive-minded insects. A Citadel expedition discovers their existence by opening a dormant mass relay that leads to their star systems. This explains, in part, why opening dormant mass relays is forbidden and why the turians attacked the humans when they did so years later. Indeed, the rachni begin a war with the galactic community. In 80 CE, the salarians find the krogan and uplift them. The krogan and their homeworld Tuchanka are barely out of a nuclear age (from 1900 BCE). They formed clans that are at war with each other. 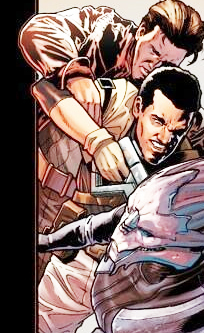 The salarians made krogan a spacefaring species, and used them as soldiers against the Rachni. It proved to be successful, as krogan were able to survive in rachni worlds and destroy the rachni in their nests. They killed the queens and eggs. In 300CE, the rachni are extinct. The Council are grateful toward the krogan and reward them with several habitable planets as well as the conquered rachni planets. The krogan grow in numbers, and with their new ability to space travel, they start colonizing new worlds. In 700CE, the Krogan Rebellions start. The krogan start to annex worlds that were already colonized by other races. The Council asks the krogan to leave an asari colony called Lusia. The krogan refuse. The Spectres, created seven years before in 693CE, are asked to strike krogan infrastructures. This act starts the Krogan Rebellions. The Council makes first contact with the turians to ask for their help in this war. The turians agree, eager to stop the threat posed by the krogans’ weapons of mass destruction. At the same time, the turians become a part of the galactic community, and later take the volus as a client race. In 710CE, the turians use a salarian-engineered bio-weapon known as the genophage on the krogan. This bio-weapon makes most krogan pregnancies unviable, causing many stillbirths. As a result of this action, the krogan population declines. In 800CE, the Krogan Rebellions officially end. In 900CE, the turians are granted a seat for their part in ending the Krogan Rebellions. The three Council races are now united. In 2183CE, the events of Mass Effect happen. Depending on the choice Shepard makes, the members of the Citadel Council can either be saved or killed. If the Council dies, they are replaced by new asari, salarian, and turian members by the second game, but may be either entirely human or led by a human in the interim. Let’s go even further back, before the asari find the Citadel. Who are the Protheans? How did the Reapers become such a threat and how were they created? This part will definitely spoil you, as the information within is from the end of Mass Effect 3 and/or its DLC Leviathan and From Ashes. In Prehistoric Times, at an unspecified date, the Leviathans rule the galaxy. They enthrall species they encounter, protecting them as long as they are given tribute. After observing that most races create synthetics that end up rebelling against them, the Leviathans create an Intelligence (known as the Catalyst) who has one purpose: preserve organic life. The Intelligence starts doing research on genetic material using pawns. With those pawns, the Intelligence turns against the Leviathans and kills most of them to create the first Reaper, named Harbinger. The Intelligence uses Harbinger to harvest space-faring organic life at the highest point of their evolution, so no conflict between organic and synthetics can escalate, and they create more Reapers. The cycles of regular harvesting begin. Most species believed that the Protheans created the network of mass relays and the Citadel. Shepard later discovers that the Intelligence used the Reapers to create the network as a way to facilitate travels for the harvest. In 68 000 BCE, the Protheans are now a spacefaring species. They discover mass effect technology from the ruins of an extinct race called the inusannon. The Citadel becomes their capital and they establish themselves all over the galaxy using mass relays. They assimilate other organic races. The Prothean Empire later collapses in 48 000 BCE: the Reapers arrived through the Citadel and started to destroy the Protheans planet by planet. Since they had access to all data regarding the Prothean Empire, they could effectively find every planet and every civilization under their Empire. They isolated the Protheans from each other by getting access to the mass relay network. The most primitive of the subjects in the Prothean Empire were left alive, so the cycle could begin anew. Everyone else was wiped out. Several centuries later, the cycle ends and the Protheans are now extinct. Only one Prothean remains: a Prothean named Javik, who is awakened by Shepard in Mass Effect 3. In 2183CE (Mass Effect), it is discovered that one Prothean world was spared: Ilos. On Ilos was a Prothean research lab, with its staff in cryogenic stasis to be awakened by a VI called Vigil once the Reapers were gone. Unfortunately, it was centuries before the Reapers departed. As a result, Vigil had to preserve power by cutting the power of non-essential staff’s cryo pods. The Prothean scientists came to a conclusion: it was too late to spare the Protheans but they could still warn and help the remaining species and future civilizations. They first needed to understand where the Reapers came from. 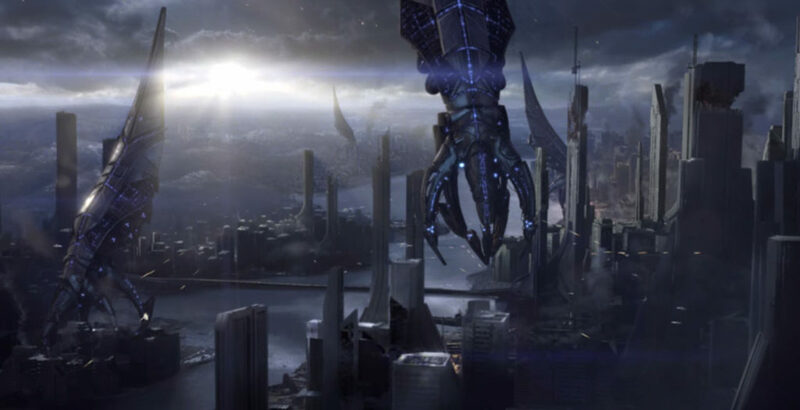 They found out that the keepers, a mysterious race doing maintenance on the Citadel, receive a signal from the Reapers that compels them to activate the Citadel relay, which would let the Reapers through. The Protheans needed to interfere with that signal, so the Reapers wouldn’t be able to use the Citadel relay next time. To do that, they needed to go back to the Citadel. They used the Conduit, a miniature mass relay prototype built on Ilos and linked to the “Relay Monument” (wrongly believed to be a statue) that lies in plain sight in the Citadel. The Conduit is not linked to other relays. It’s entirely independent, and can be used in one direction only, meaning that the Protheans scientists could go to the Citadel, but could not leave it once there. Despite the unavoidable risks and consequences of such a trip, the remaining Protheans traveled to the Citadel and interfered with the Reapers’ signal. Their sacrifice meant that the next time the Reapers would send the signal to begin a new cycle, they wouldn’t be able to use the Citadel relay and would be stuck in dark space. Vigil believes that the remaining Protheans starved to death and died in the Citadel. Since the Protheans interfered with the signal, the Reapers needed a way to reach the Citadel and changed the signal. Sovereign, the enemy Reaper in Mass Effect 1, becomes allies with Saren. They go to Eden Prime with a geth army, as some of the geth see the Reapers as a superior race, calling them “the old Machines”. On Eden Prime, Saren activates the beacon before planting bombs. Shepard disarms them and reaches the beacon. It gives them warnings regarding the Reapers. At the time, Shepard is an N7 soldier and a candidate to become the first human Spectre to be trained by Nihlus Kryik. However, Saren kills Nihlus and Shepard has to prove to the Citadel Council that Saren has gone rogue. It isn’t easy at first: the Council doesn’t believe Shepard. Tali’Zorah, a quarian squadmate in all three games, gives Shepard a recording of Saren and an asari Matriarch named Benezia where the two discuss the Reaper and the Conduit, the proof needed to convince the Council. The Council listens to it and revokes Saren’s Spectre status. They name Shepard the first human Spectre and sends them on a mission to stop Saren. The Normandy becomes Shepard’s ship. Shepard starts doing missions with their squadmates: a turian named Garrus Vakarian, a krogan named Urdnot Wrex, a human soldier named Ashley Williams, another human soldier named Kaidan Alenko, a quarian named Tali’Zorah, and Matriarch Benezia’s daughter Liara T’Soni, an asari researcher specializing in the Protheans. Their pilot on the Normandy is a human named Jeff “Joker” Moreau. On a colony named Feros, Shepard discovers that Sovereign is able to enthrall and control others in a process called indoctrination, which happens after a period of exposure to Reapers or Reapers artifacts. On a world called Noveria, Shepard fights and defeat Benezia, who then confirms that both she and Saren are indoctrinated. Benezia dies as a result of the fight. Afterwards, Shepard is sent to a world called Virmire where Saren’s main base has been found by a salarian infiltration unit led by Major Kirrahe. 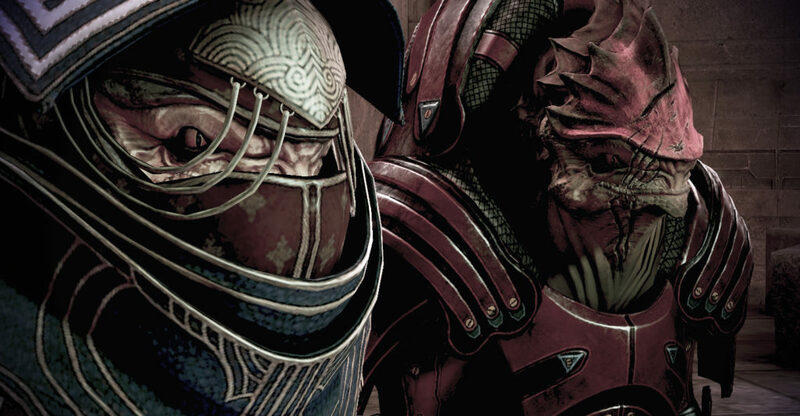 Saren has found a cure for the genophage and plans to use it to create a krogan army. Urdnot Wrex, Shepard’s squadmate, gets upset about the news that Shepard might destroy the cure to prevent Saren from getting an army. 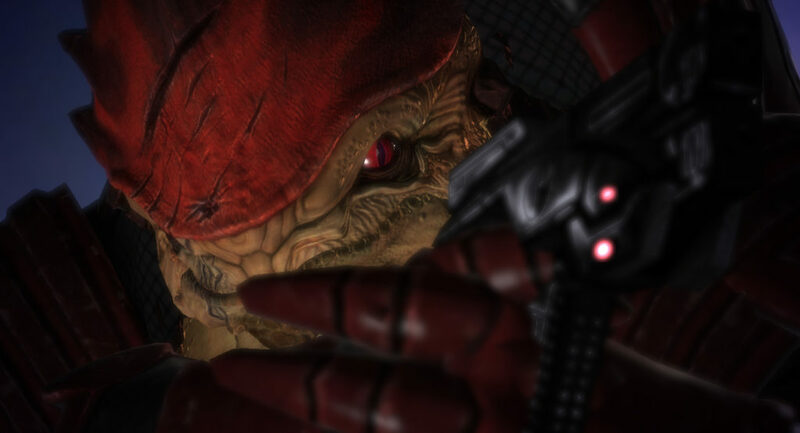 A fight occurs, with different outcomes possible: the fight ends with Wrex killed (either by Shepard or Ashley Williams) or Shepard finds a way to pacify the situation. Kirrahe reveals his plan to destroy Saren’s base with a nuclear bomb, and Shepard and their squadmates join this mission. Either Kaidan Alenko or Ashley Williams is sent to lead a squad of salarians, while the other positions the bomb for activation. 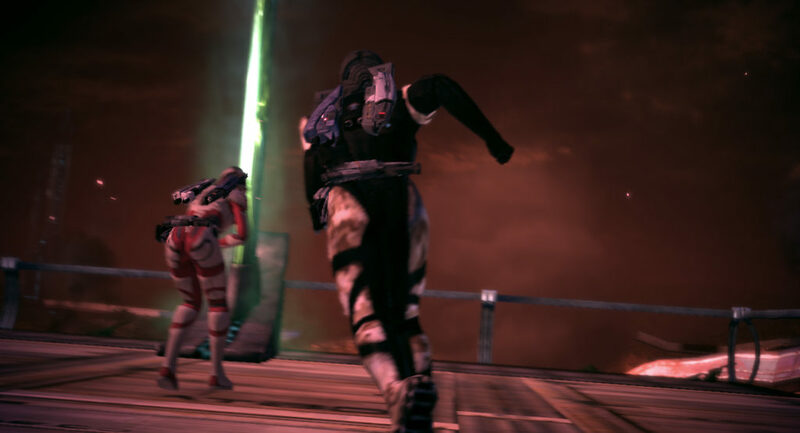 When both are overwhelmed by the geth, the soldier at the bomb activates it early to ensure the base is destroyed, and Shepard only has time to save one of them before the bomb explodes. Shepard finds Sovereign inside the base. He reveals himself to be a Reaper and explains how the cycles work, with Reapers staying out of sight for 50,000 years or so before coming to harvest the most advanced organic life. Saren is convinced that allying himself with Sovereign is the only peaceful solution to this conflict between organics and synthetics, and that more people will be spared this way. Shepard can’t make him see reason. Afterwards, Liara finds where the Conduit is and the Normandy heads to Ilos. Vigil, a Prothean VI, talks to Shepard and explains that the Prothean scientists left Ilos for the Citadel in order to alter the signal the Keepers receive. Saren plans to alter it again and use the Conduit to get inside the Citadel with his geth army. Shepard has little time to get through the Conduit themselves, but manage to get through, and they find the Citadel under attack. 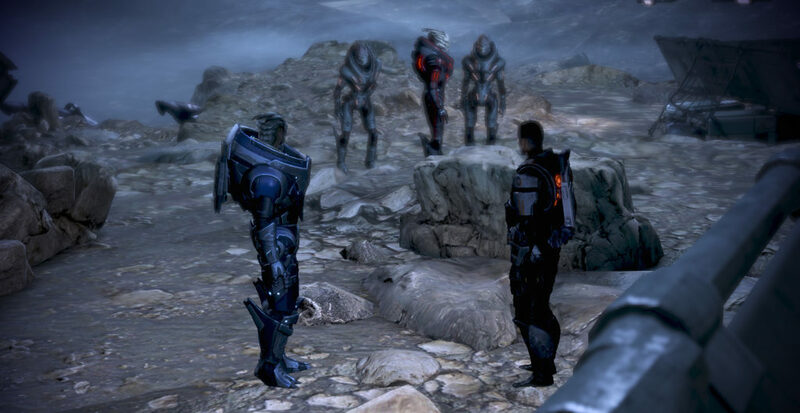 After finding Saren, Shepard resists Saren’s attempts to recruit them for the Reapers. 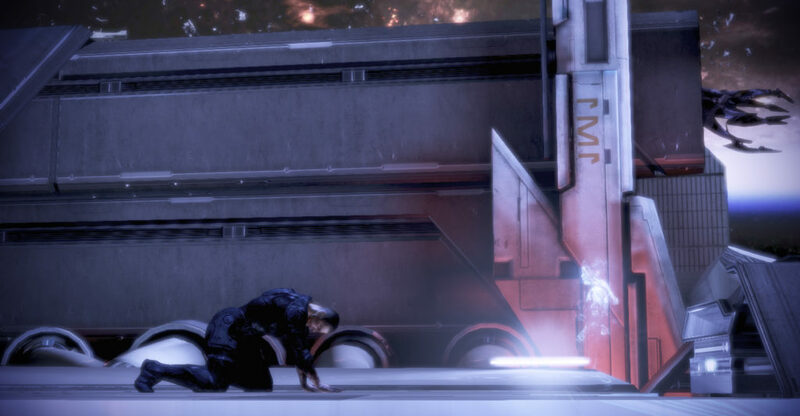 Shepard either fights Saren or convinces Saren to resist the Reapers and kill himself, but Sovereign reanimates his corpse for one last stand. The Alliance fleet tries to counterattack Sovereign while the Council ship is being attacked by the geth. Shepard has a choice to make: save the Council and risk human lives, or risk the Council to concentrate on Sovereign. No matter what Shepard chooses, Sovereign will die and Saren will be destroyed completely. Humanity gets a seat on the Council regardless of the Council’s survival or death. Shepard can pick Ambassador Donnel Udina or Captain David Anderson for the position. A month after Sovereign’s attack on the Citadel, Shepard is sent on a mission to get rid of the remaining geth threat. The Normandy is attacked by an unknown enemy. The crew leaves in escape pods except Joker, the Normandy’s pilot. Shepard goes to the cockpit and convinces him to leave. He does, but it’s too late for Shepard to find an escape pod. They die suffocating in space. Two years later, in 2185, Shepard wakes up on an operating table in Lazarus Station. The station, which is owned by an organization named Cerberus, is under attack. Security mechs have been hacked and are turning against the station’s inhabitants. Shepard finds Jacob Taylor and a medical officer named Wilson. Jacob Taylor explains to Shepard that they have been dead for two years and have been revived by the Lazarus Project. Miranda Lawson, under Cerberus orders, worked hard for two years to bring Shepard back to life. As they’re about to find an escape shuttle, Miranda Lawson appears and shoots Wilson, as he was the one who hacked the mechs. Shepard, Miranda and Jacob leave the station. Once safe inside another Cerberus’s base, Shepard meets Cerberus’s leader: the Illusive Man. He appears as an hologram and tells Shepard he brought them back because humanity is in danger. Humans in human colonies are disappearing and no one, not even the Alliance, is doing anything about it. The Illusive Man suggests that Shepard works for them in defeating this new threat and Shepard has no choice but to accept the offer. They’re immediately sent to a human colony called Freedom’s Progress, where they meet a quarian team led by their old squadmate Tali’Zorah. Shepard discovers that the new threat is called the Collectors. They’re a previously unknown species now working for the Reapers. Why they are kidnapping humans, Shepard doesn’t know yet. After the mission on Freedom’s Progress, Cerberus gives Shepard a new, larger version of the Normandy. Called the Normandy SR-2, this ship has the same exterior design but a different interior design and an AI called EDI. Joker, the Normandy‘s pilot, is now working for Cerberus after being grounded by the Alliance. The main mission is called the “Suicide Mission”: Shepard will have to go through the Omega-4 Relay to reach the Collector’s base. Shepard must find people to recruit for their team and is given different dossiers from the Illusive Man. With Jacob Taylor and Miranda Lawson, Shepard goes to recruit those squad members. In the space station Omega, Shepard finds a salarian scientist called Mordin Solus and Garrus Vakarian, their old friend and squadmate, who was going by Archangel on Omega. Jack is a human biotic that Shepard finds on a prison ship called Purgatory. Grunt is a krogan created by a krogan scientist and found in a tank. New information from the Illusive Man arrives: another colony is under attack. This colony, called Horizon, already has Alliance presence there, in the form of the Virmire Survivor (Ashley Williams or Kaidan Alenko), but they can’t stop the Collectors from kidnapping humans. Shepard drives the Collectors away from the colony and then tries to ask the Virmire Survivor back to the Normandy, but the Virmire Survivor refuses. They think Shepard shouldn’t work for Cerberus, an organization known by most as a terrorist organization. This concern is shared by many old squadmates, especially Tali’Zorah, even if she is recruited by Shepard and returns to the Normandy. Thane Krios, a drell assassin, and Samara, an asari Justicar, join Shepard’s team. Kasumi Goto, a human master thief, and Zaeed Massani, a human mercenary, can also be acquired by DLC. Each character Shepard recruits has the potential to become “loyal”, increasing their chances of surviving the Suicide Mission. Each mission will reveal something about the squadmates. The Illusive Man tells Shepard that Cerberus has found a “disabled Collector ship.” Shepard goes with their squad and discover that the Collectors have the same genetic material as the Protheans, meaning the Protheans are now the Reapers’ slaves. The Collectors are being controlled by Harbinger, the first Reaper. When Shepard finds what they need to get through the Omega-4’s relay, the Collectors ambush them, a trap that the Illusive Man was aware of but did not warn Shepard about. Shepard and their squad thankfully escape the encounter. A new mission sees Shepard and squadmates go inside a derelict Reaper to find an IFF transponder in order to safely go through the Omega-4 relay. 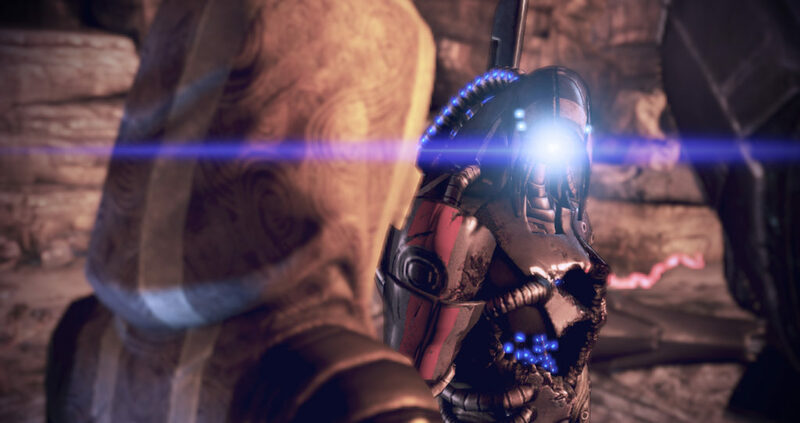 During this mission, Shepard finds a geth called Legion that can be recruited. The IFF is put into the Normandy’s system. While Shepard is away from the ship, the Normandy is attacked and the crew kidnapped. With EDI’s help, Joker is able to retake control of the Normandy. 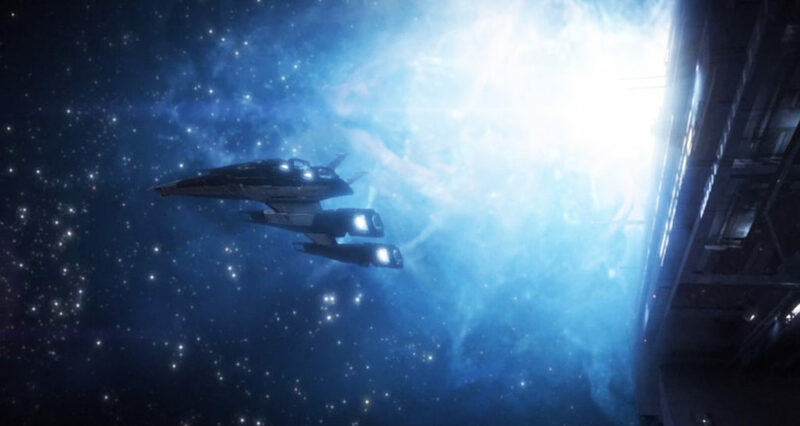 The Normandy heads to the Omega-4 relay: the final mission of Mass Effect 2 – the Suicide Mission – starts. With upgrades made to the ship and with the IFF, they’re able to go through and find the Collector Base. Different decisions are made during this mission. If Shepard doesn’t go through the relay as soon as possible, the Normandy crew that has been kidnapped will be found dead. If they leave ASAP, they’ll find the crew alive and rescue them. Shepard has to put people in key positions for the mission: not choosing wisely could mean the death of their squadmates. It is possible for Shepard to die during this mission as well. Shepard fights the Collectors and reaches the central chamber of the base, where they find a giant new Reaper made of the genetic material of the kidnapped humans. The Illusive Man contacts Shepard and argues that it would be better to preserve the Collector base to use against the Reapers than to destroy it. Shepard chooses to save it or not. The human Reaper awakens to fight Shepard and the team. A bomb will detonate: with enough surviving squadmates, Shepard escapes to the Normandy in time, where Joker gives Shepard the Reaper’s schematics. Without enough squadmates, Shepard doesn’t make it to the Normandy and dies. 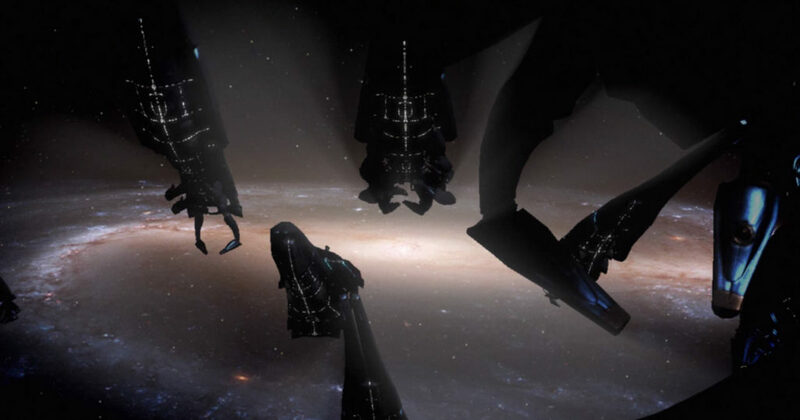 The last image of Mass Effect 2 show the Reapers, awakened, ready to start a new cycle of harvesting. In Arrival, a Mass Effect 2 DLC, Shepard must destroy a mass relay and countless batarian lives to prevent the Reapers from arriving through the Alpha relay. 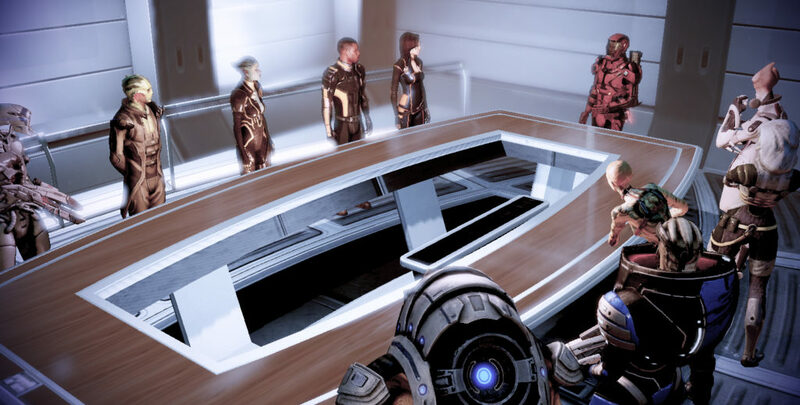 Shepard has been put in custody following the events of Mass Effect 2, either because they worked for Cerberus or because of their actions in the Arrival DLC. After six months in custody, Shepard begins to answer Alliance Command’s questions about their arrival and how to defeat them, only to see the Reapers attack Earth. Earth’s defenses are destroyed, and the Reapers start to destroy Earth with converted Reaper creatures. Shepard tries to save a little boy but can’t: the boy’s escape shuttle explodes. David Anderson stays on Earth and asks Shepard to leave with the Normandy, saying that they’ll be more useful finding reinforcements. In the Normandy, Shepard is put in contact with Hackett who asks Shepard to go to Mars, where they might find something that will help them defeat the Reapers and take Earth back. Shepard’s squad is made of the Virmire Survivor (either Kaidan or Ashley) and James Vega, a new character. Joker is still the pilot on board, with EDI as the ship’s AI. On Mars, Shepard finds Liara T’Soni, who has found plans that would allow the creation of a Prothean device that could defeat the Reapers, and is now trying to escape from Cerberus soldiers. They discover that an AI in disguise is there trying to steal the data for Cerberus. The Illusive Man appears as a hologram and explains he wants to take control of the Reapers instead of destroying them. Shepard runs after the AI. With their squad’s help, they’re able to stop the AI but the Virmire Survivor is injured and has to be taken to an hospital immediately. 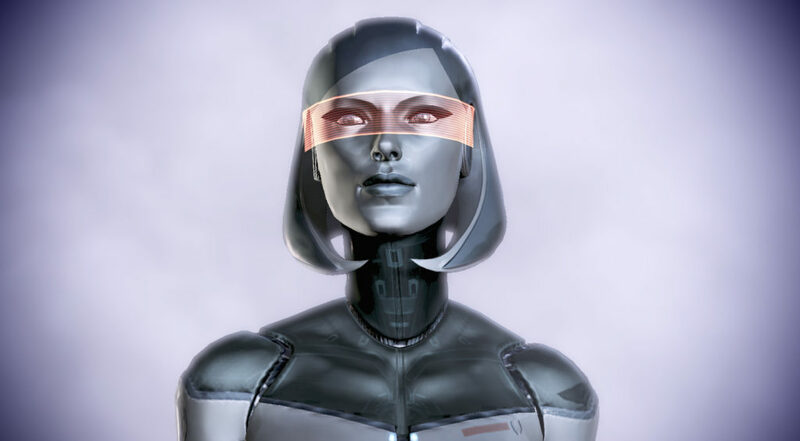 Later, EDI uses the AI’s body as her new platform. The Normandy heads to the Citadel. There, Shepard and Liara try to convince the Council to help and show them the plans for this Prothean weapon. The Council refuses to help, as their species are all worried about their own survival. Shepard realizes that in order to take Earth back, they will have to work with each species. Uniting the galaxy is the key to stop the Reapers. Admiral Hackett will supervise and lead the construction of the Prothean device, now being called the Crucible. At any point from now until endgame, the opening mission of the Mass Effect DLC called “From Ashes” can be played. This DLC allows Shepard to find the only Prothean survivor: Javik. Javik is awakened and is surprised to find that the Protheans’ warning were not heeded. Shepard explains that no one could understand what was inside the beacon. Javik becomes a squadmate on the Normandy to complete his mission of destroying the Reapers. He will often comment about life in the Prothean empire during their Reaper War. Fellow soldiers were indoctrinated and had to be killed. The war with the Reapers left a profound trace on Javik. Shepard go to Palaven’s moon to recruit the turian primarch Adrien Victus. They also recruit Garrus Vakarian. Victus will give Shepard support only if the krogan agree to help Palaven, the turian homeworld, so Shepard holds a summit with the primarch, Urdnot Wrex or Urdnot Wreav (leader of the krogan), and Dalatrass Linron (leader of the salarians). The krogan leader agrees to help if the genophage is cured. Dalatrass Linron refuses to help cure the genophage, even offering Shepard salarian support in exchange for sabotaging the cure. The mission on Tuchanka with a salarian doctor (Mordin Solus if he survived the suicide mission, Padok Wiks if not) and Eve, a female krogan female who can help cure the genophage, has different outcomes depending on Shepard’s choice. The genophage can be cured, with the salarian doctor dying in the process, or the cure can be sabotaged, with the doctor either shot by Shepard or faking his own death. Either way, the krogan believe the genophage is cured, and support Shepard and help fight the Reapers on Palaven. The Primarch then promises that the turians and their fleet will be there to help Earth when the time comes. After the mission on Tuchanka, Shepard heads to the Citadel where Cerberus is staging a coup. Kai Leng, a Cerberus assassin, tries to kill the salarian councilor. If Thane Krios is alive and in contact with Shepard, he interferes but is badly injured by Kai Leng; if Thane is dead, Major Kirrahe takes the hit and dies instantly; the councilor dies if neither are present. Shepard tries to save the Citadel Council. They figure out that Donnel Udina, the human councillor, has betrayed them, and is in fact working with Cerberus. The Virmire Survivor, alive and now a Spectre, thinks Shepard is there to kill the Council. Shepard can convince them that Udina is involved or can kill the Virmire Survivor if they remain unconvinced. Udina is shot no matter what. If the Survivor is still alive, they join the Normandy again as a squadmate and friend. If Thane Krios saved the salarian councilor, he dies from his injuries. Next on Shepard’s list: meeting the quarians and their flotilla, who have been very discreet recently, as they prepare for a full war with the geth in order to regain control of their homeworld, Rannoch. The geth were originally created by the quarians as an advanced VI labor force. In the year 2485, a geth asked its quarian creator if it had a soul. This question made the quarians panic, as they realized the geth were becoming a sentient race. In their panic, the quarians gave order to shut down all geth. This led the geth to rebel. When they were overwhelmed by geth forces, the quarians had to flee Rannoch, and have been living on spaceships in the quarian flotilla ever since. Shepard is helped by Tali’Zorah if she survived the Suicide Mission, or guided by quarian Admiral Xen if Tali is dead. They board a geth dreadnought broadcasting a Reaper signal in order to destroy it. They also find a kidnapped Legion, if they survived the Suicide Mission, or otherwise a Geth VI, who explains that some geth turned to the Reapers, who are now controlling them in exchange for upgrades. With their geth ally’s help, Shepard gets to a Reaper base and destroys a Reaper on Rannoch, the one giving the signal. However, the quarians and the geth are still at war. Shepard can allow their geth ally to use the Reaper code to upgrade their species to true intelligence, which means the quarians will be killed and become extinct, or stop the Reaper code upload, enabling the quarians to destroy the geth. Another solution is to unite the geth and the quarians. The surviving species will become war assets and help Shepard during the final attack on Earth. Tali and Legion – Does this unit have a soul? If Shepard allows the upload, the geth ally will sacrifice themselves to fully upgrade the geth. If the quarian fleets are destroyed, the quarian leader present will kill herself. If Shepard stops the upload, their geth ally will attack and be killed. If peace is made between the quarians and the geth, Tali’Zorah will answer the geth’s question and say that yes, this unit has a soul. The answer lies in the question itself. Afterwards, the asari councilor asks to speak to Shepard. She explains that the asari have hidden a Prothean artifact on their homeworld, Thessia. This artifact could help finish the Crucible and destroy the Reapers. 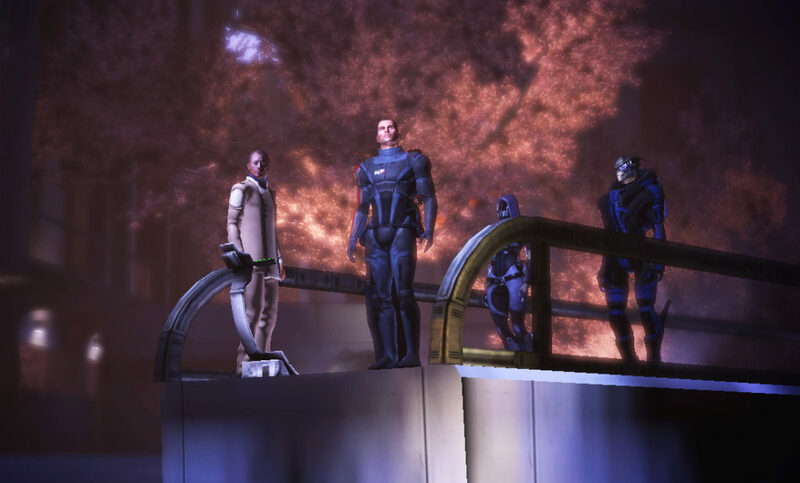 Shepard and their squad arrive on Thessia, which is under Reaper attack. Shepard activates the artifact, freeing a Prothean VI called Vendetta. Vendetta explains that the Crucible needs the “Catalyst” to be effective. Vendetta is about to tell Shepard what the Catalyst is when Kai Leng appears. Vendetta detects reaper indoctrination and stops talking. Kai Leng steals Vendetta, attacks Shepard, and leaves; however, Normandy Comm Specialist Samantha Traynor tracks his shuttle and extrapolates his destination. Shepard escapes Thessia with their squadmates. After Thessia, Shepard follows Kai Leng to Horizon where a supposed refugee facility called Sanctuary has been conducting research on Reaper creatures for Cerberus. There, Shepard finds either Miranda, who is there to save her sister Oriana from her father, or if Miranda died on the Suicide Mission, Oriana herself, investigating their father’s involvement in the facility. The active sister plants a tracker on Kai Leng, allowing Shepard to find Cerberus’s base. With Hackett’s help, Shepard assaults the base, kills Kai Leng and finds out that the Citadel is the Catalyst needed to make the Crucible work. They also discover that the Illusive Man is fully indoctrinated. He told the Reapers that the Citadel could activate the Crucible, which makes the Reapers take control of the station and put it above Earth, where most of their fleets are. The Illusive Man is inside the station at the time. The final assault happens on Earth. With Shepard uniting the different species, the fleets are present to fight the Reapers. A final attack is launched on Earth. Shepard arrives in London, where they find David Anderson and say goodbye to their friends. A beam on Earth connects to the Citadel: Shepard gets there just in time. 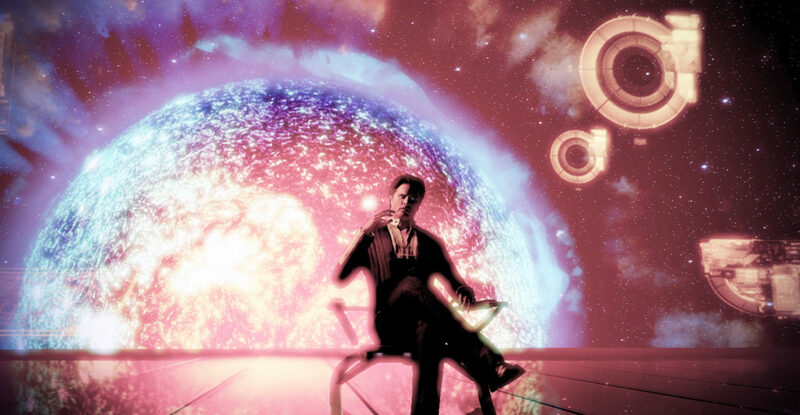 Anderson is also on board the station, but he has been taken hostage by the Illusive Man. Shepard can shoot him or make him see he’s indoctrinated, which will lead to him killing himself. No matter what, Anderson is badly injured. He dies from his injuries, but not before telling Shepard how proud he is of them. The arms of the Citadel are opening, allowing the Crucible to dock. Shepard, still alive, reach the “pinnacle” of the Citadel, where an AI appears. It takes the form of the little boy Shepard couldn’t save on Earth and who has been in his nightmares throughout the entire game. This AI is the Intelligence, the Catalyst. It believes that synthetic life will always destroy organic life, and that the cycles of harvesting were the only way to prevent synthetic life from destroying organic life forever. Each cycle allowed the Catalyst to study the evolution of organic life, in order to find a permanent way to deal with the synthetic and organic conflict. In all cycles, no one has managed to get to this point. No one, but Shepard. 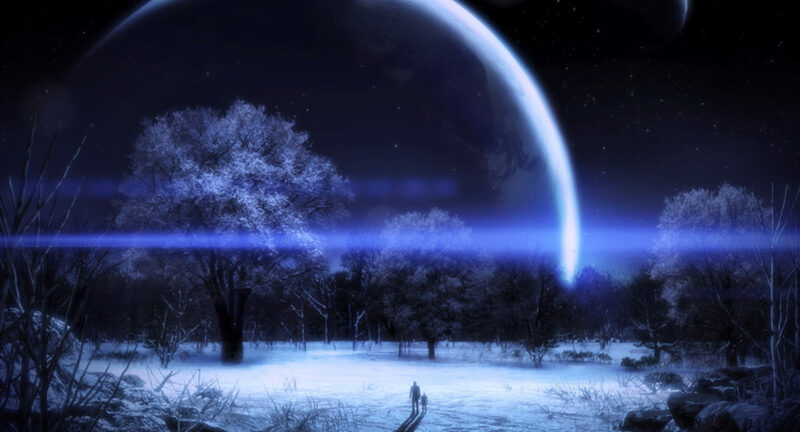 Another possible ending is to refuse those endings, in which case the Reapers win and continue their cycle, but a time capsule Liara made is shown on an unknown planet. Depending on Shepard’s war assets, they might survive the Destroy ending. They’re killed in the Synthesis ending. They become the new Catalyst in the Control ending. The Normandy and crew survive the blast from the Crucible, though they’re now stranded on an alien planet. The mass relay network is damaged in the Control ending or in all endings with the Extended Cut DLC, or destroyed in the Destroy and Synthesis endings without the Extended Cut. A final post-credits cutscene shows an old man named Stargazer telling the story of the Shepard to a small boy. This implies that Shepard, and their legacy, will have a long standing impact to the world of Mass Effect.